Lyle Rosburg is the Chief Financial Officer for Williams-Keepers LLC and joined the firm in June 2016. He has more than 20 years of experience in strategic planning, financial reporting, budgeting, and client service. 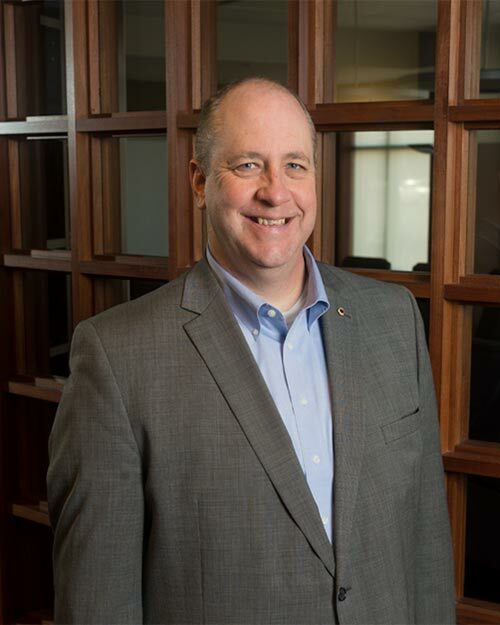 Lyle’s duties as CFO include overseeing the budget and cash flow functions, leading the finance team members and participating in the development of the firm’s plans and programs as a strategic partner. He also provides timely and accurate analysis of budgets, financial reports and financial trends to assist the Chairman, Leadership Committee, and member group in performing their responsibilities. Lyle graduated from the University of Missouri in May 1991 with a Bachelor’s degree in Accountancy. He earned his Master’s degree in Business Administration in May 2014 from William Woods University in Fulton, Missouri. He also graduated from the Peace Officers Standards and Training Law Enforcement Course from the Missouri Sheriffs’ Association Training Academy in August 2003 with a Class A certification. The Jefferson City News Tribune recognized Lyle in 2006 with the “40 under 40” award, which recognizes outstanding business leaders under the age of 40 in the Jefferson City community. He received the Lions Club International Melvin Jones Fellow in 2013. Lyle is an active member in his community; he was a founding member of the Historic City of Jefferson Foundation, where he also served as a board member and treasurer. He was also a board member for the Missouri River Regional Library, serving in positions including the Strategic Planning Committee chair and Treasurer.